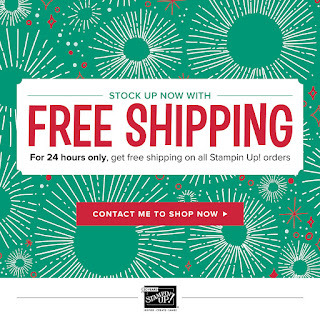 Vanessa's Card Studio: Free Shipping on Cyber Monday! Free Shipping on Cyber Monday! The Online Extravaganza deals end on Sunday, so if you wanted any of those discounted items, you should buy them while they are available. 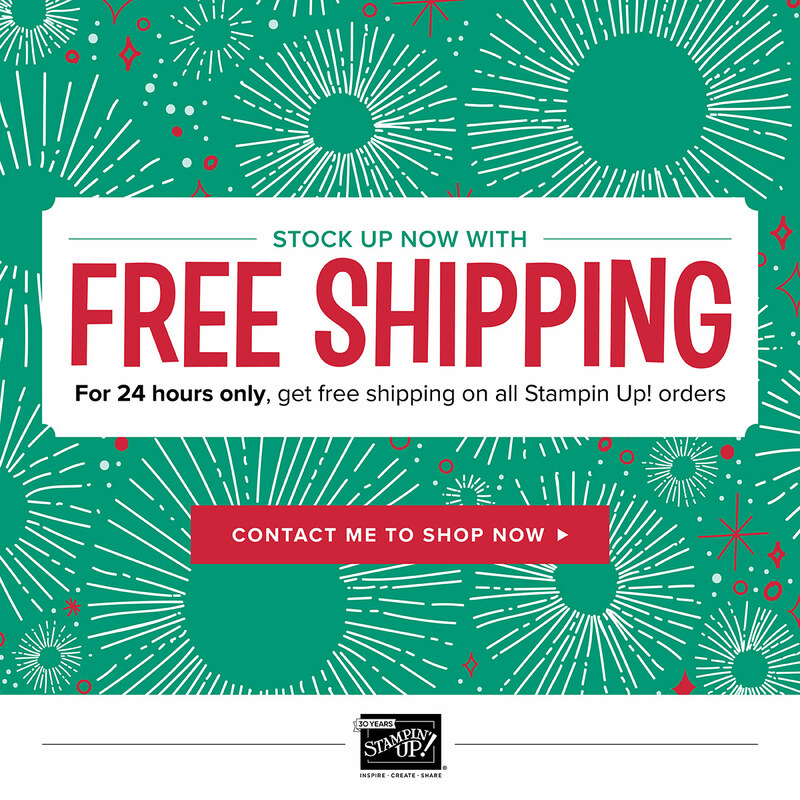 Then on Monday, Stampin' Up is offering free shipping on all orders. I'll be honest, since I always rebate shipping for my customers on orders over $50, this isn't much of an incentive. But if you just needed a couple of items and didn't want to have to spend the $50 to get the shipping rebated, then this would be a great deal for you. I'm going to take advantage of it myself. I placed an order last week, but I forgot to add an item. I didn't want to have to spend $6.95 shipping for an item that cost $9, so I just decided to wait. Now I don't have to! I can order my $9 item on Monday and save the shipping cost! Woo Hoo!